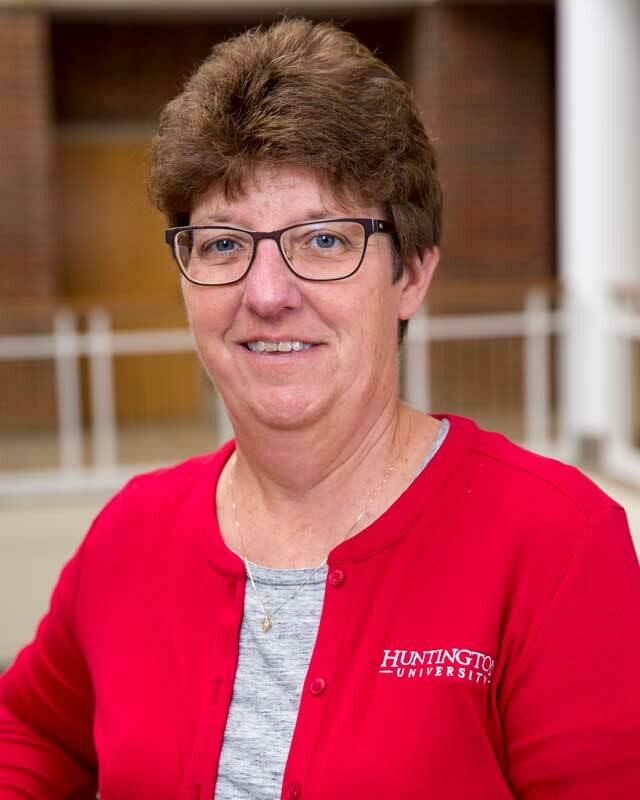 Tammy Gass joined Huntington University in the fall of 2015. She serves in the role of Staff Accountant in the Business Office. She is responsible for the operation of all accounts payable functions, as well as general ledger and accounting duties. She also assists in cashiering and student accounts. Tammy is a graduate of Ball State University with a Bachelor of Science in accounting. She previously served as senior payroll administrator at ITT Exelis, Inc. for 23 years. She and her husband, Tim, reside in Roanoke, Indiana, with their two sons, Noah and Alex. She enjoys mentoring young girls and working with the youth at Life Church in Huntington. Her hobbies include attending her son’s sporting events, spending time at the beach, shopping and attending Indianapolis Colts games and Indiana University basketball games.